Fall is the time on the golf course when the maintenance staff can begin to heal any scars from the summer. We aerate all fine turf areas to relieve compaction, remove thatch (natural layer of organic material), and get air to the roots. We vertical mow the turf to remove excess thatch which can prevent water and nutrient infiltration. We begin to fertilize the course so that we can have healthy grass and roots going into the winter. 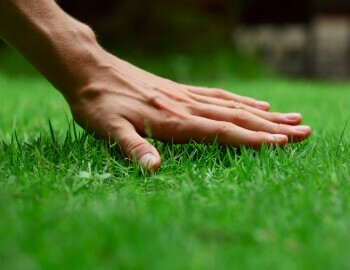 It is important to have healthy turf do deal with the stresses of winter and start the spring with thick lush grass. While the temperatures are finally cooling off for some very pleasant golf days, it has still been a very long time since the golf course has received any significant rainfall. This is stretching the hand-watering season for the maintenance staff, which may carry some of the aerating practices a little further into the fall.